Space Furniture – the Future? NASA is looking for flexible and highly functional furniture options for space, which would make space travel and astronauts’ time in space a lot more efficient and comfortable. It is a cool venture with many students and engineers working on it and it could change the daily lives of astronauts dramatically. Some students recently displayed their work and some of it is truly groundbreaking with a lot of excitement in the scientific community and online. But, if what NASA is hoping for is achieved, it will not only revolutionize space life, but also life here on Earth including for millions of ordinary citizens. Highly functional and flexible furniture can offer consumers many more options and give a lot of bang for their buck. It wouldn’t be the first time that the space giant has led to big leaps in technology affecting millions of people around the world. The new furniture showings are especially exciting for the millions of people currently living in small spaces, namely studios in cities like New York. This is because the prototypes are highly portable, lightweight, and easily transformable to suit user’s needs. Ikea and similar furniture outlets have their share of flexible furniture items, but nothing is quite like what might be coming out of the United States’ primary astronautical organization. These new models will not only be ultra-compact, but will also change the way we interact with furniture in general. And without some of the weight and size constraints on Earth, we may even be able to push the limits of the technology embedded in them even further. Some of the early prototypes of the furniture can fold up and fit literally into small nooks only inches wide. Many pieces can also be used for multiple purposes. This all while the electronic technology embedded within allows for greater integration with the increasingly growing tech-centric lives of astronauts and humans in general. For Earth options, this could mean great streamlining of the things that are important in our lives and most customizable furniture through the use of technology. One of the things that might take some work in translating the prototypes to something that will work for ordinary people is the strength requirements in each respective environment. 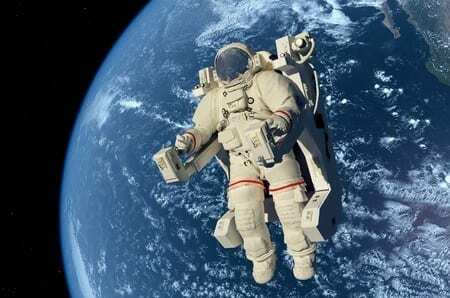 Due to the lack of gravity in space and the necessity to limit weight as much as possible in space travel, a lot of the current furniture is too lightweight to withstand the forces on Earth, namely gravity. From a material standpoint, this will make differences in the counterparts. The upside here is that making things strong or heavier is not a tall task and is easily doable- it is really the design features of these new pieces that is the important step forward. It will be exciting to see where NASA goes from here with the space furniture and how the furniture industry responds in trying to create similar designs for everyday people to buy, use, and enjoy. The future in furniture certainly seems to be bright thanks to the innovation coming out of this program! Previous PostPrevious Tired Of Noisy Office Furniture? Try This!